If you walk into our kitchen anytime between the summer months of July and August – chances are you will hear the rolling boil sounds of the water bath canner, the hum of the food saver bags being sealed, or the woosh-woosh of a pressure canner in action. To us – it’s music to our ears – because they represent the stocking of our home-grown grocery store. Something is always being canned in the kitchen this time of year. Between what we consume fresh and preserve from the garden and farm – we supply a large majority of our home food needs throughout the year. For the most part – our grocery store visits are now concentrated on only the outer perimeter aisles…fresh fruit (what we can’t or do not grow yet), milk, orange juice and meats. What we grow fresh, can, freeze and make lets us stay clear of the “middle aisles” of a grocery store – where most everything is packaged and loaded with all types of preservatives. 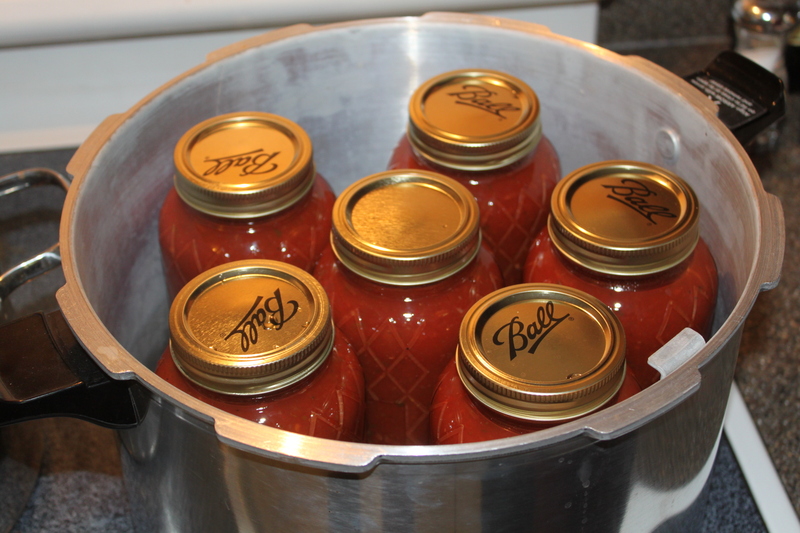 It’s great to know at any time of the year – we can head to our canning pantry for our own pasta sauce, green beans, corn, ketchup, salsa, picante, pickles, relish, ketchup, tomato juice, jams and more. Although it’s certainly true that growing and preserving your own food can save big money on grocery bills – our real goal was to know exactly where our food came from and what was in it. Or maybe I should say to know what’s not in it – like sprays, pesticides, artificial fertilizers – and preservatives! The entire process from planning our garden (see: 2014 Garden Plan) – to creating the list (we included our preserving need’s list at the bottom of the post), all become one integrated process. It’s actually a simple process. 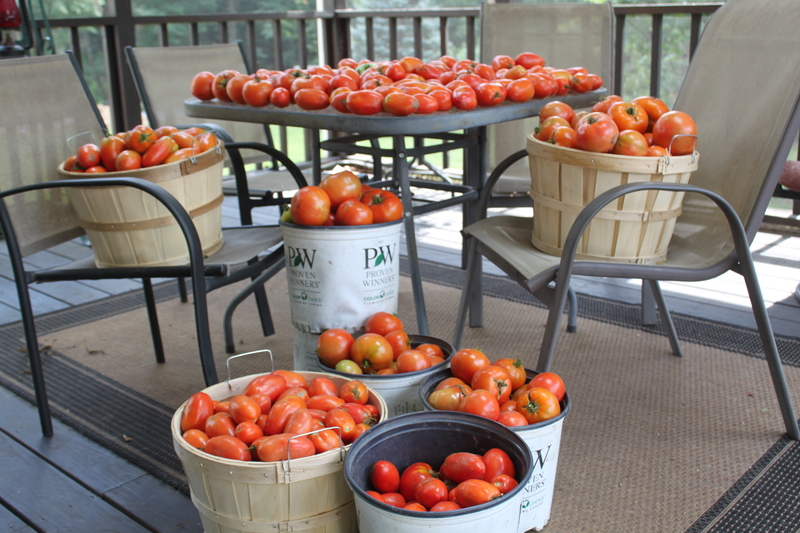 The key for us is to create a list of what we like most and what we use throughout the year – and making sure to plan the garden and subsequent harvests so that we can meet our “food preserving” goals. We know that we enjoy a lot of tomatoes, green beans,onions, peppers and garlic on many dishes we make throughout the year – so we simply calculate out what we use of each on average in a given week/month and year – and make sure we can grow accordingly. 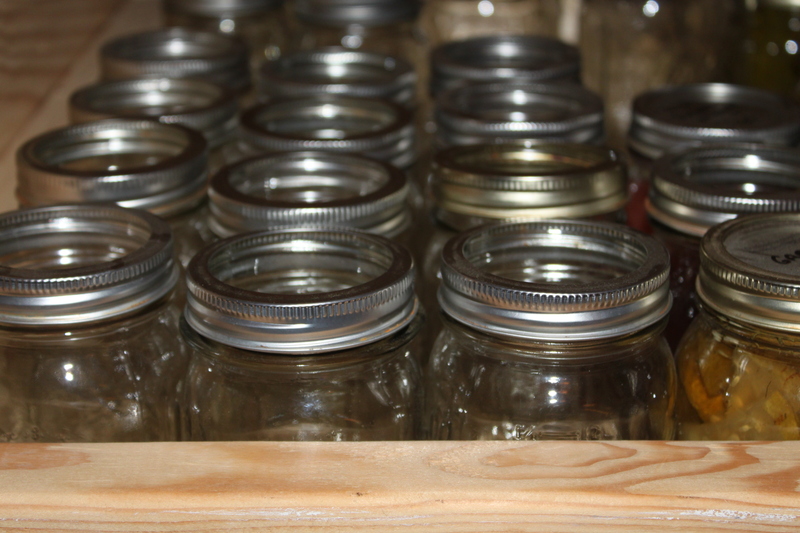 There are a lot of empty jars on the canning pantry shelves this time of year needing filled back up! 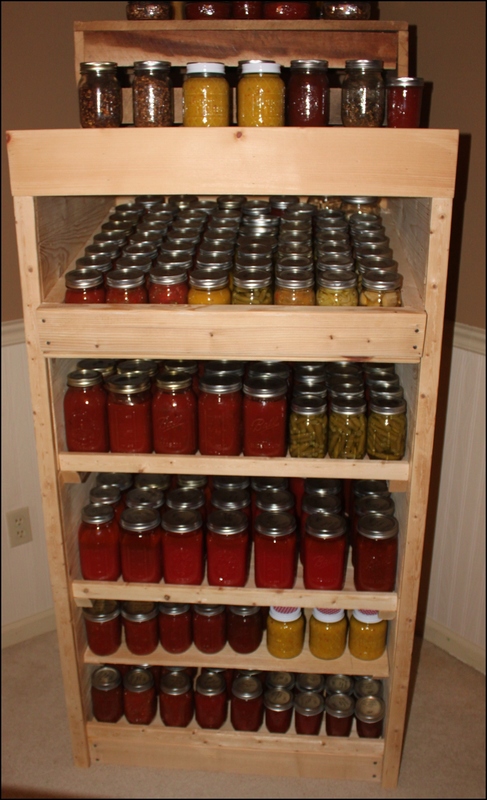 Just as important – before we head full-bore into preserving season – we do a thorough inventory of our Canning Cupboard and Freezer to use up what we have left – and to adjust what we will need to preserve to fill it back up. The key is to get harvest like this to last throughout the year! On that note – when we freeze, we have learned to make things in individual and family size portions to make the best use of space and reduce waste. One of our favorites to now make are stir-fry packets that already have all of the vegetables cut and ready to go for a single meal or a family meal. It makes creating fast dinners a breeze! A few jars each of jalapeno rings, banana pepper rings, hot pepper flakes, cowboy candy, strawberry-lemonade concentrate, cayenne pepper powder, chili powder and taco seasoning. ← Dill Pickle Relish – The Recipe That You Have Asked For!